The Certificate of Advanced Studies on Migration and Diversity analyzes changes in social structures and cultural processes owing to migration. It teaches the skills to engage with others, create solutions that turn problems into opportunities, and explores conditions for larger social inclusion. Migration streams affect all aspects of social life (public institutions, policy-making, businesses, media, health services, religion and ethics, gender and family). Diversification boosts enrichment and creates challenges. This CAS analyzes changes in social structures and cultural processes owing to migration. It teaches the skills to engage with others, create solutions that turn problems into opportunities, and explores conditions for larger social inclusion. The modules cover structural and cultural aspects of migration, integration and diversity including political participation, social mobility and market inequality, inclusion and belonging, governance of international migration, prejudice and stereotyping, refugee processes, policies, and social needs. Our approach emphasizes active engagement and participation as well as application to specific cases. You will work in groups on real-life problems to exchange views and understand differences in perspectives, apply theoretical knowledge to practice, and develop creative solutions. Professors and senior researchers from the partner universities and guest professor are international experts in their disciplines. We encourage you to think outside of the box and develop deep insight. You will learn to analyze intercultural interactions in interpersonal, organizational and social settings, policies and organizational practices, and media. 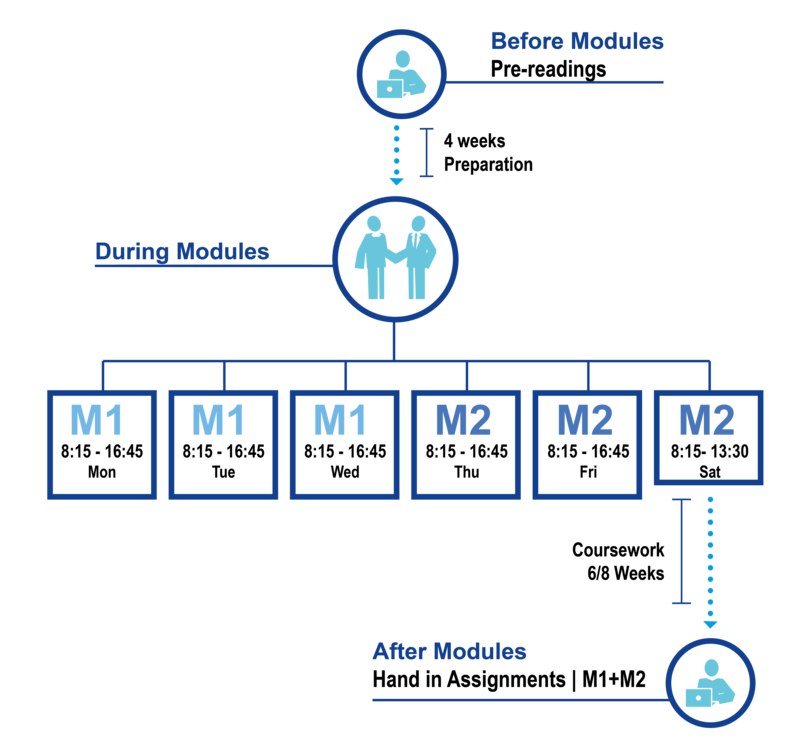 The CAS has 6 modules for a total of 3 weeks, a week roughly every two months. Our approach emphasizes active engagement and participation as well as application to specific cases. You will work in groups on real-life intercultural communication problems to exchange views and understand differences in perspectives, apply theoretical knowledge to practice, and develop creative solutions. We encourage you to work outside of the box and develop deep insight. The modules cover structural and cultural aspects of migration, integration, and diversity including political participation, social mobility and market inequality, inclusion and belonging, governance of international migration, prejudice and stereotyping, refugee processes, policies, and social needs. Modules will be held at Università della Svizzera italiana (USI) in Lugano, at Université de Neuchâtel (UniNE) and the American University of Beirut (AUB), Lebanon. Lebanon is a key site of the current migration and refugee processes; an ideal place to learn on the ground from a unique geographic, political and cultural perspective. This module addresses macro (i.e. society) meso (i.e. community) and micro (i.e. individual and family) processes of integration. In order to set the scenery of such processes, the module begins by studying the diversity of migrant population and integration policies in Europe; this allows locating the Swiss experience in the broader European picture. Moreover, it outlines the main theoretical approaches to integration in the scientific literature in order to provide a common background for the study of integration processes. More generally, the module shows the dynamic of ethnic boundaries at play in integration processes. Finally, the module tackles the issue of the interplay between processes of integration and migrants’ transnational practices. The first Unit is devoted to the post Berne Initiative global framework and initiatives in the governance of migration as the context for the EU free movement of persons. The following unit focuses on recent developments in the international framework of refugee and IDP protection in Switzerland, the Middle East and Europe. Unit 3 looks at the recent shift in research from a policy-oriented to a migrant informed perspective of decision making in migration. The next section discusses border controls, visa policies and cross-border services as well as smuggling and human trafficking, which are often purposefully confused in public debates. Unit 5 focuses on particularly vulnerable migrant groups and investigates the underlying factors and structures that create unequal power relations and dependency, how migration management regimes of control and enforcement are practiced and how they shape individual irregular migrants’ experiences in diverse ways. On the side of policy responses, the so-called durable solutions – local integration, return, resettlement – are addressed with particular interest being paid to the reactivation of resettlement regimes in Switzerland and EU countries (unit 6). Finally, we focus on the sub-state level and show the implications migration has on the regional and local level (unit 7). In particular, we analyze the challenges faced by minority regions, where new diversity stemming from migration encounters historical linguistic, religious and cultural diversity. The certificate awarded is a Certificate of Advanced Studies on Migration and Diversity (15 ECTS) from Università della Svizzera italiana, Faculty of Communication Sciences.